Volkswagen Group has settled on Mexico to build a new North American factory for its premium Audi brand. 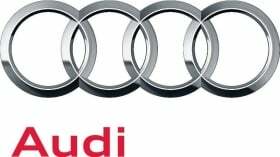 The factory will begin operating in 2016 and will initially have capacity for 150,000 Q5 SUVs a year, Audi CEO Rupert Stadler said at a briefing on Thursday in Hamburg. It will cost considerably less than 2 billion euros ($2.6 billion) to build, Stadler said. Audi said it will choose a location for the Mexican plant later this year. The VW Group and Audi supervisory boards approved building the plant, the luxury-car division's first in North America, at meetings on Wednesday. The Q5 is "a product that would sell very well in the U.S.," Arndt Ellinghorst, a London-based analyst at Credit Suisse analyst, said. "Volkswagen has all the components for that platform already in Mexico in their Puebla plant, so I would be surprised if it's not somewhere around the Puebla region." About 26 to 27 percent of the Q5s built in Mexico will be sold in the United States; the rest will be shipped overseas, according to a company source familiar with the matter. Trade duties, such as those imposed on vehicles exported from the United States to markets in Europe and South America, were a major factor in Audi's decision to locate production in Mexico. Per-vehicle manufacturing costs also were significant lower than in the United States and the quality of vehicles being built in Mexico has vastly improved, making Audi officials confident quality won't be a problem, the source said. The Mexico plant will provide a boost to the VW Group's sales prospects and manufacturing operations in North America, where its light vehicle output rose 25 percent in 2011 to a record 542,363 units. It will also relieve supply constraints that executives say have limited Audi's U.S. growth. The brand posted a 16 percent U.S. sales gain last year to a record 117,561. Audi sells about half as many cars in the United States as BMW and Daimler's Mercedes-Benz and is looking to catch up with its German rivals in North America. Mercedes and BMW have factories in the United States, where they build mostly crossovers and SUVs. The decision for a factory in Mexico comes about a year after Volkswagen opened a factory in Tennessee, the group's only U.S. plant, and it appears to be a win for Stadler, who, according to Automobilwoche, a sister publication to Automotive News Europe, had been pushing for Mexico over the United States. Executives at the parent company had preferred the U.S. site because of its proximity to existing suppliers and the marketing benefits of the "Made in the U.S.A." label. But as a member of the North American Free Trade Agreement (NAFTA), Mexico has favorable wage costs and is exempt from import duties and it also has a free trade agreement with the European Union. By locating production in Mexico, VW will avoid a 10 percent duty levied on cars that are built in the United States and shipped to Europe. Also, the brand is better positioned for export to South America, where it sees Brazil as a promising market. The VW group already builds the VW Jetta and Beetle at its Puebla, Mexico, factory southeast of Mexico City. It plans to open an engine factory next year in Silao, Mexico, a centrally located city in the north, to build 300,000 engines a year for North America. Audi's North American factory will help VW Group's aggressive push to surpass General Motors as the world's leading automaker. By 2018, it wants sell 10 million vehicles globally a year -- up from the 8.3 million it sold worldwide last year. In the United States, it has equally ambitious goals: it aims to sell 1 million vehicles a year here by 2018, including 200,000 Audis annually. VW Group of America sold 443,840 vehicles in the United States last year, up 23 percent over 2010. Sales during the first three months of 2012 have climbed 34 percent to 124,293 vehicles. Ramping up regional production and purchasing may help VW to reduce its exposure to unfavorable currency fluctuations which have long weighed on the car maker's U.S. results. VW is aiming to return to profit in the United States next year. Volkswagen in March said it expects output at its Mexican plants to rise 20 percent in 2012 compared to 2011, helped by demand from the United States. It expects to produce 615,000 vehicles this year.